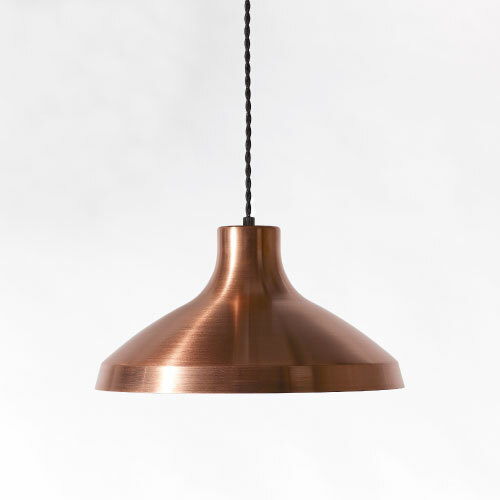 that was hand made by craftsmen. 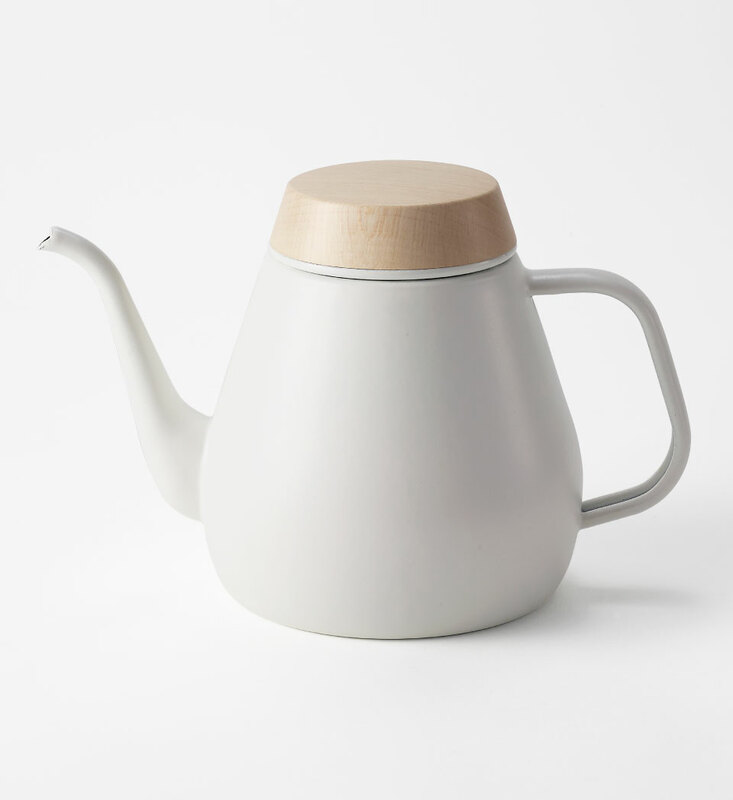 A drip kettle with gentle appearance that was hand made by craftsmen. 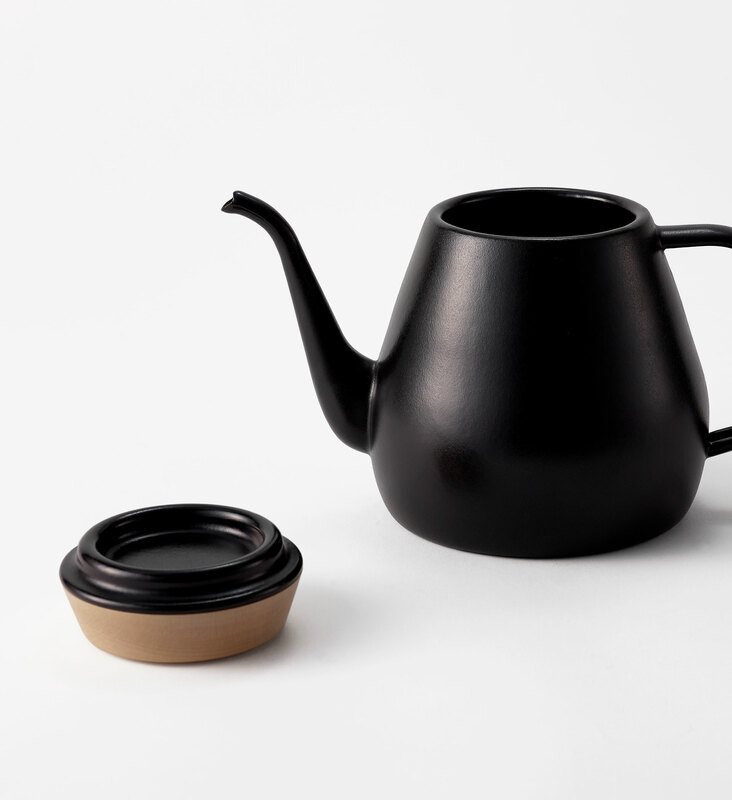 ovject’s drip kettle is distinguished by the wooden lid that melds seamlessly into the kettle’s rounded form. 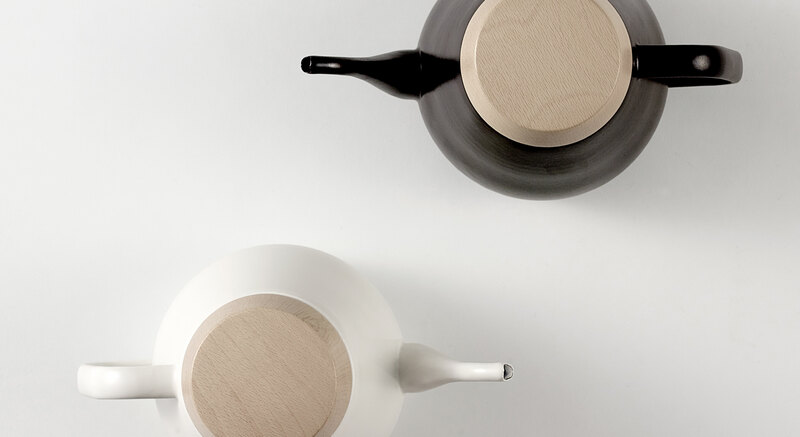 The spout, made by craftsmen with many years of experience, allows you to freely control the amount of hot water that comes out when pouring. Depending on the angle you pour at, the water comes out in either a thin or a thick stream, which is ideal for making great coffee. The kettle is adapted for use on both electric and gas stoves, and the wooden lid doesn’t get hot when heat is applied so you can open and close it without problems. 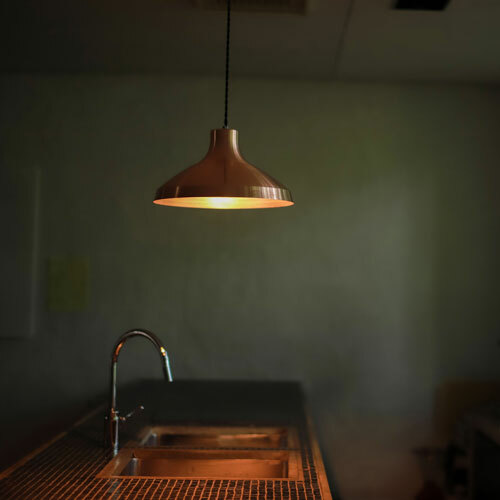 The underside of the lid, which comes in direct content with the steam, is covered with an enamelled steel plate to prevent the wood from rotting. 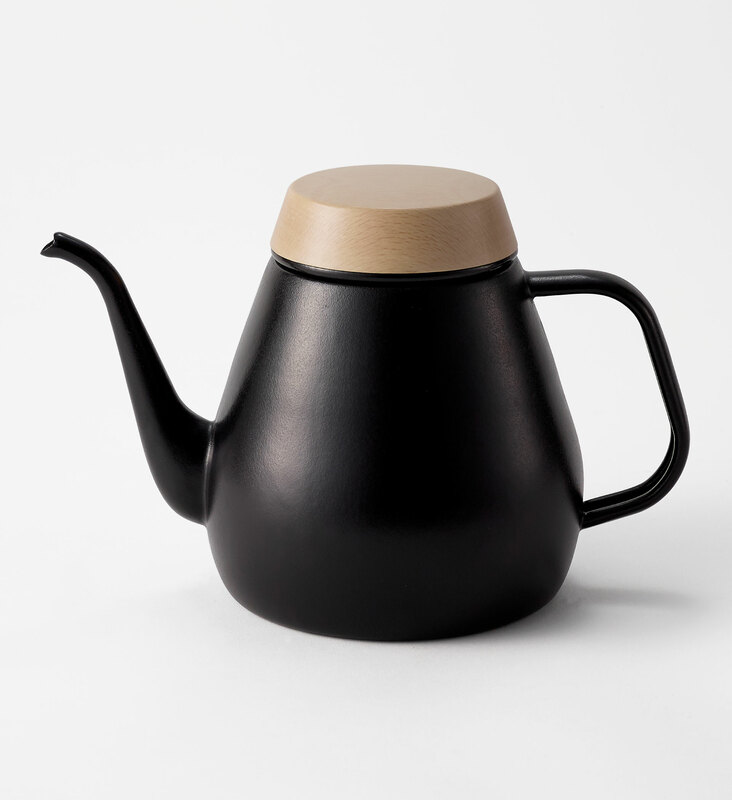 The kettle can be used in multiple ways, both as a drip kettle for making outstanding drip coffee, and also as a regular kettle for boiling water. 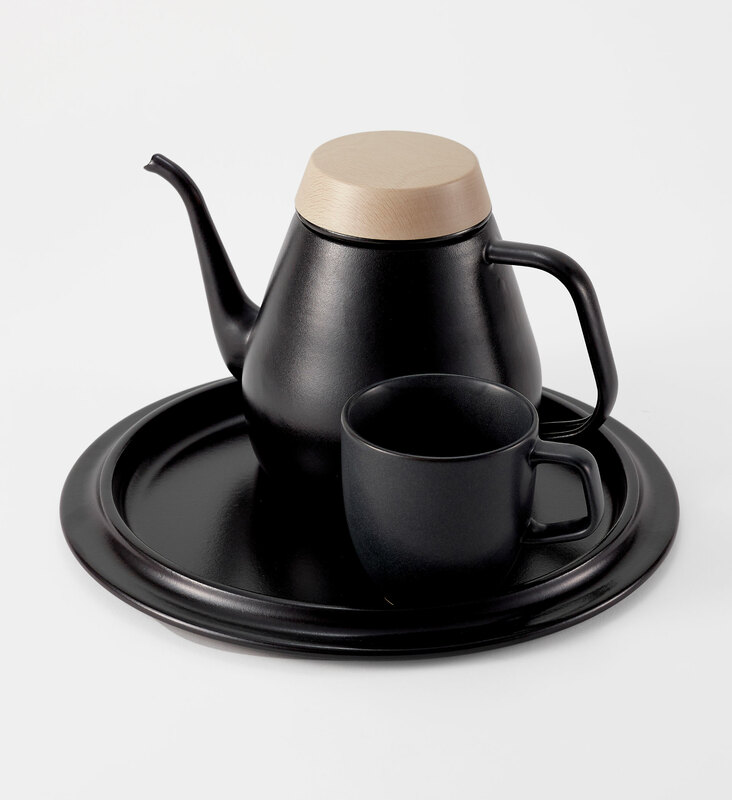 Designed for use on both electric and gas stoves and also as a hot water pot for making drip coffee. 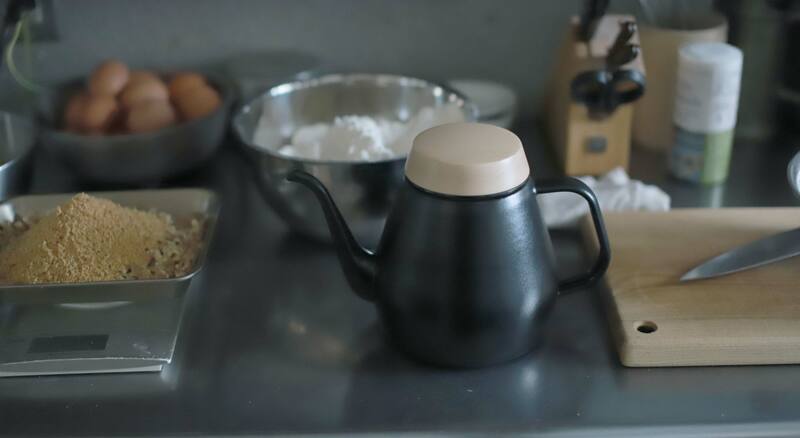 The spout, which was handmade by craftsmen with many years of experience, makes it easy to control the volume of water that comes out, which is perfect for making coffee.